What are the New gTLDs? BelieveIcan.com, ShopBy.com, Alt-Coin.com and more domains at NameJet. BrandableNames.com launches and starts off the 2018 New Year with a ‘33% off’ Promo offer. Did you buy Andrei Polgar’s Wealth Management 2.0 book? First 2016 Southern California Domainer Meetup — gTLD.Link forum back online. 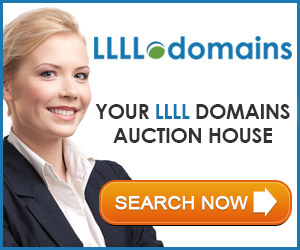 Is the dot-Lawyer domain a good idea? The new generic top-level domain names could offer a good chance for those who weren’t able to score an ideal web address in the crowded dot-com space, says Monica Goyal, a Toronto-based lawyer and a software entrepreneur. But an untested domain name with a high price tag could be a deterrent for many lawyers, she adds. “The downside is that it’s still new, it doesn’t have the prestige of the dot-com,” says Goyal. …if a lawyer or a law firm is starting from scratch, “it’s another story,” says Matthews. He notes exact-match searches are possible through the new generic top-level domains, which boosts the chances of appearing higher in a Google search. “If you’re a Vancouver trademark lawyer and you have vancouvertrademark.lawyer, having that search phrase in consecutive terms embedded in the domain name gives you an exact match and that is a big plus in the search-engine ranking,” says Matthews. However one interviewer felt it is a good idea to have ‘multiple domains’ and do redirects. This entry was posted in - Uncategorized by Kevin McKim.Bookmark the permalink. i think .Lawyer is a good idea… it will be helpful for law and legal persons. As part of our ongoing efforts here at dotWhatever to raise awareness, interest and an understanding of the New gTLDs to the masses, we invite all New gTLD registry's and related vendors to feel free to contact us to share and or contribute any pertinent information and/or updates that they would like to make available to help increase public gTLD awareness.